Since 2008, we have been supporting the daily operations and development of small and large companies. We relieve them of technical problems and provide them with peace of mind and freedom in making business. Isn’t that good? 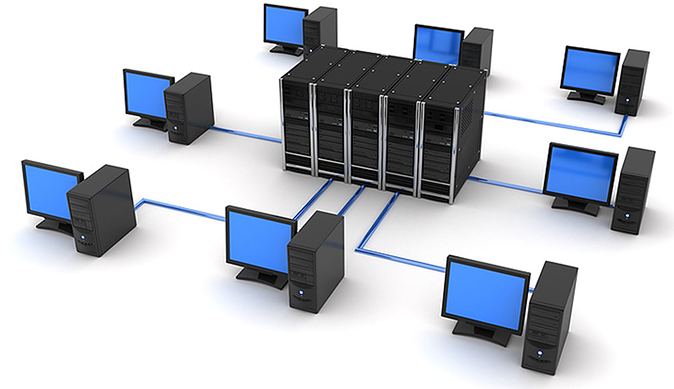 Servers, computers, and IT networks under our care streamline your work instead of causing problems. Installations, deployments, configurations, troubleshooting, optimization of devices and services - you name it. Everything on time and often even sooner. Today, it is difficult to win a customer without good online marketing. But things change when experts take over. We have specialists in positioning techniques, advertising, and web analytics. There is no place for random actions with only a hope of success. The money spent on marketing must work well to win new customers. They have checked us! We have customers, their trust, and confidence that we are capable of performing any task. "Infron is responsible for the continuous support for our IT infrastructure, which results both in its high efficiency and seamless operation. Therefore, we are fully convinced we can recommend the services of Infron, the company we are doing business with on an ongoing basis. They provide the highest quality services, significantly exceeding performance levels we have dealt with before." "The service provider has performed all the tasks assigned to them with great responsibility. We are very happy to confirm Infron to be a trustworthy partner that has successfully managed all its assigned tasks." "Infron’s skill proved to be crucial in critical circumstances related to our server – with the help of their IT experts, we have avoided the risk of a complete server reinstallation. We mention this particular case, because it was thanks to Infron’s intervention that we were able to protect our valuable data assets, as well as to save time and avoid financial costs connected to the reinstallation." "We are extremely satisfied with the services delivered by Infron engineers. In particular, we would like to praise them for the accuracy of their decisions, as well as the responsiveness and effectiveness of their actions. Infron has not only solved our mail server problem in a very convincing manner, but has also helped us enhance the skills of our IT team by sharing their knowledge and experience." Euromaster Polska Sp. z o.o. The first 3 positions in Google grab 80% of customers. Do you want your website to be there? We have been providing IT services since 2008. They are always at the highest level because we have that special “something”. Imagine a company employing only enthusiasts and professionals. That’s us. We do things which are impossible for others. We don’t spare time or efforts. And we intend to keep it that way. Everything is clear. We have more and more customers. Wonder why?